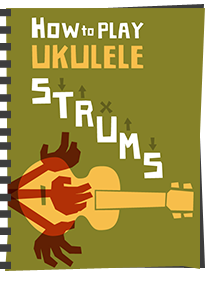 I think it's nice when a new development hits the ukulele shelves, and that is certainly something that can be said for a new brand of strings that have recently been made available - Living Water Strings - which are causing a buzz all over the ukulele forums. I've been trying them out. Firstly though - a little bit of housekeeping. Whilst I do like to review and test strings, I always make the same point to my readers. Strings are a personal choice and just because I say I do or don't like a certain brand, does not mean you will have the same experience. 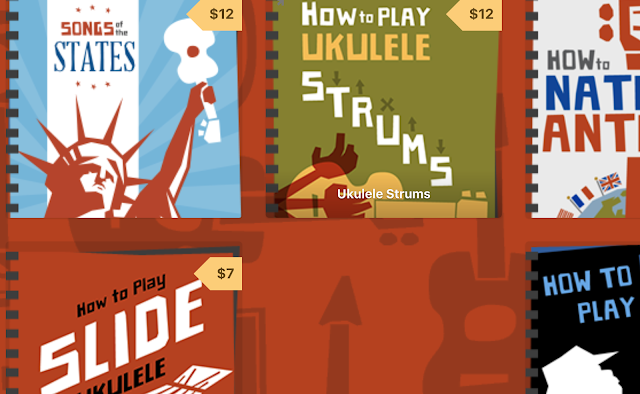 Other factors come into play; the ukulele they are played on, the players style, the players own ears. As such, the old adage 'Your mileage may vary' has to apply. All of that said, when it comes to these new strings though, I may be changing that opinion a little - read on! The strings are available in the four main uke scales, Soprano, Concert, Tenor and Baritone, and, very recently, Ken has launched a Low G version for Tenor. All the others are in high G Re-entrant tuning (the Baritone in high D). It's worth noting that the low G set is an all fluorocarbon set (no wound strings here) which is something I personally applaud. I have put a set on my Soprano and Tenor ukes so cannot speak for the Baritone or Concert yet. In addition, my review really comes from playing them mainly on the tenor scale - that is where I have been putting my strumming hours the most recently. 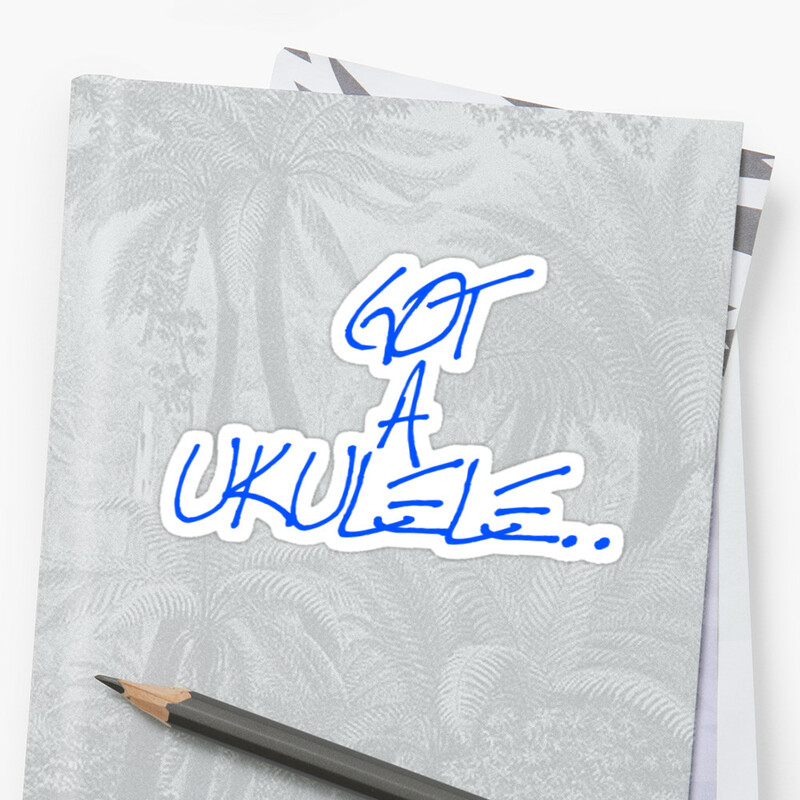 "Manufactured from hi-tech fluorocarbon, these strings give a wonderfully vibrant, crystal-clear tone to your ukulele. They are made to exacting standards, with a complex polymer structure that is formulated to give both strength and flexibility, whilst maintaining resistance to abrasion. In other words, they don't break easily, they vibrate well and last a long time." I actually really like the packaging. What?? I hear you cry - what does the packaging matter? Well, I think it does matter. For a start the individual strings come in re-sealable clear plastic wallets (and the wallets themselves in a 'master' clear wallet that contains the card branding and a business card with contact details). As someone who changes strings a lot (for fun!) this is great, as a 'not so old set' can go in the wallets and be re-sealed so they don't uncoil. In addition, being clear, I can see what I have put inside them. For me this is far better than flimsy paper bags. Secondly, the wallets are labelled not only with the string number but with the note as well - far better than some of the other coding systems (or no coding systems at all) that you see on other strings. Wow! Honestly, wow! It felt like I was playing a different ukulele! The sound was immediately brighter and I think a little louder, but it was the relationship between the strings in strumming that really pleased me. The strings sound like they are really working together and harmonies between notes really shimmer and sing. There is total clarity across unfretted strings, but played in chords and the sound is more than the sum of its parts (if you see what I mean). I spent the rest of the night strumming away with a smile on my face! But how were they for picking? Had I gained something only to lose elsewhere? Well, they are just great. There wasn't such a massive leap from the Worth Clears that were previously on the Kanile'a (and any leap may have been, to my ear, because I was swapping from a played in string) but they are no worse. As such I am a very happy player - they hit exactly the spot I have been looking for and have made my Kanile'a the full shilling. 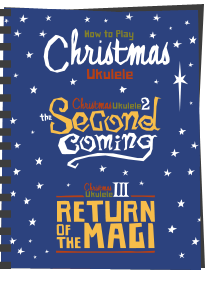 Most recently I gigged with the N'Ukes as part of the Chester charity event with my Kanile'a and the Living Water Strings - was really pleased with the sound and the feel. And what about the other gauges? - well that sudden leap in bite and brightness on such an earthy instrument as the Kanile'a did worry me when it came to putting them on my Koaloha Soprano. Whilst I haven't played that as much, it would seem my fears were unfounded as they sound just great on that too though perhaps with a more subtle improvement in tone. That harmonic ring is improved though. So let's just go back to that earlier paragraph in which I pointed out that string choice is personal. Well, yes I still believe that, but bear something in mind. All over the social media, ukulele players are talking highly about these strings. Friends in our uke group are playing them and posting me extremely positive feedback. In fact I've not yet seen any bad feedback! Could Mr Middleton have hit on something special here? Let's put it this way - I bought more as I intend to keep using them. Accordingly - these get my vote and a strong recommendation you give them a try asap! The strings are available direct from Ken on his website (on which you can see the individual string gauges) and I believe he is also selling them on eBay. Do you really want your headline to say "causing a buzz?" I know that you mean getting a lot of attention, but some folks might only read the headline and think you're suggesting that the strings themselves are buzz-prone . . .
Nice review, though. Looking forward to getting a pack of these strings for my baritone. Ha! Nah, I think the review speaks for itself! I have these on a soprano, a concert and a solid-body electric concert at the moment and I really like them (previously I always used Aquila strings). I'm going to be getting some more and gradually moving over to using these on everything, I think. That's what I'm thinking Phil! I bought some for my Ohana Baritone and found the re-entrant stings with the high D to be a pleasure to play. 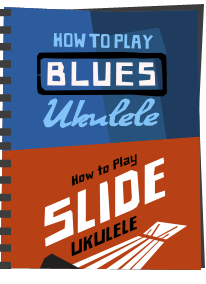 The stings have made me pick up my ukulele more often and practice. An added bonus is that Ken Middleton is so great to deal with. I am buying a concert tommorow and will not hesitate to change the stings. These are great strings, I have them on my Ohana BK35 Baritone and love them. They actually inspire me to practice more. The bonus is that Ken Middleton is a great guy to deal with. I recently put a set of these on my spruce topped Ohana SK-75R, replacing the stock Aquilas, which had started to sound a tad 'boomy' as the spruce opened up. To my ears, the sound is a lot clearer, with none of the boominess, whilst losing none of the volume or brightness. They feel great to play, with just the right amount of tension, and settled in a lot quicker than a new set of Aquilas, making the whole process much less of a pain than I usually find it. Overall, I'm very impressed! For a less expensive uke, (Read: more heavily built, and a less inherently self-resonant body), Yah, go with the heavier and more self-resonant Aquilas. Only Fluorocarbon strings go on my cool ukes now. May God bless and best wishes to Music Guy Mic, but anything bought from him including my Kanilea's came with Aquilas. Flurocarbons to me feel so much more sonically balanced, harmonically satisfying (Including the higher harmonics I love), and fast settle-down tuning with a new set. Heck, I even prefer in second place Nylon string's on a couple old Martin's. Pain to tune but I like a little "Spronginess" at times. I have a set of these on my Islander Tenot MST-4, and I do enjoy the sound when strummed. OTOH, I find the tension quite high as compared to Worth CT or Southcoast. I find the tension too great for my fingerstyle playing - others may disagree with me. Quality strings for sure, but I'm partial to the Worth strings for this uke. I also own a Kanile'a tenor and I thought your comments were spot on! I've tried a number of different strings, and just put on some PHD's which I think are a big improvement. However, based on your review I just ordered some strings from Ken and am really looking forward to the results. Thanks! I just LOVE these strings on my Ohana 5 string Tenor Ukulele. When I bought it, a little over 2 years back, it had Aquila strings with the Aquila "Red" low G string. The sound was OK, but the low G string was a problem...I had 3 BREAK in just 10 DAYS! That's what lead me to try Living Water Strings. I have used them now for 2 years without a single breakage, and the sound is just AMAZING! I won't be reverting back to Aquila, THAT'S FOR SURE!!! tankthetuba - yes - nice strings indeed. But do you honestly leave your strings on for 2 years. Longevity really isn't a quality I measure strings by and change mine much, much more regularly. These living water strings are just thicker fishing line imported by ken middleton and cut up to what size your uke is he puts them in fancy packets and charges you the earth for them.i bought a set for£2-00off a luthier i know.Fancy packaging doed not make thed strings/fishing line sound any better. I am always the latest to find things and all that. I needed nearly 3 years to find your review. Now I want to say thank you! I ordered the strings last week, got them the day before yesterday, tried them yesterday, and WOW... best strings I ever played (low G on my Pono MTDX). They were ready to be played after only one day. Usually I need at least one week for retuning it until they hold longer than 10 minutes (at least the Aquila behave like that). But best thing is: I did not know that my beautiful Pono can sound even more beautiful.... thank you thank you !!! Has anyone tried putting the low G, made for Concert or Tenor, on a Soprano? I like a low G on my soprano, but don't see that he sells one. Will order a concert low G, and hope for best. Any advice? I put a low G set of these on my Pono ATD-CR tenor uke and oh boy what a difference it made, it absolutely sings like a bird now. Lots of the members of the uke club I'm with have commented about the sound and some have now changed to Living Water strings. I'm now looking to replace the Aquilas on my Kala 8 string with a set as Ken now does sets for these, I hate the wound low G string. I just bought some of these for my Tiki Baritone and the sound is awesome. I previously had wound strings on it but they kept unwinding within a couple of weeks. I was worried about going back to nylon strings but the sound has improved, not diminished. Very happy. I've gradually replaced the strings on all my ukuleles with Living Water Strings and I couldn't be happier with them. Delivery is quick, they sound good, they feel good and they settle quickly. I also like the idea of supporting a small business. I understand the point made above by Chrisuke but it's not exactly something I didn't already suspect myself. The thing is fluorocarbon is very expensive, for my banjo ukuleles I use monopole fishing line which is less then a fiver for an enormous reel. 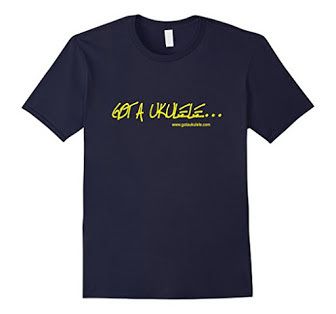 To kit myself out with reels of enough gauges of fluorocarbon for each size and scale of ukulele would cost at least £150, and I'm still not guaranteed to be using the same type as Ken. Fluorocarbon is indeed expensive if you buy a set of reels just for one ukulele. It's incredibly cheap if you are repackaging it though! Do you know who makes the line? How are these compared to Martin strings (tension, etc), Barry? I also own a Kanilea Tenor. Not tried Living Water strings yet. I need to buy new strings for my concert&soprano ukes. I saw that soprano and concert strings have the same diameter. Are they the same with different lengths? I really appreciate your thoughtful reviews. And for years, a beautiful Kanile’a tenor, with the premium curly Koa wood has sat unplayed in my closet because it sounds a bit dull and muddy to me compared to a simple Ohana with Worth clears. Very gratifying to know that it wasn’t just me having this experience! And yes, the living water strings made a big difference! I've been using these strings on ALL my Ukuleles (concert, Tenor, and Tenor 5 string) for about 5 years now, and they've never disappointed. My pupils have tried them too, and are blown away by the clarity of sound. I play my 5 string a LOT, yet still get a good 6 months if regular rehearsal and gigs out of a set, but the thing I like mostly about these strings on my 5 string, us the balance of volume across the strings. I've tried a few diferdiff brands before I discovered Living Water Strings, and found the low G could often drown out the sound of the other strings. 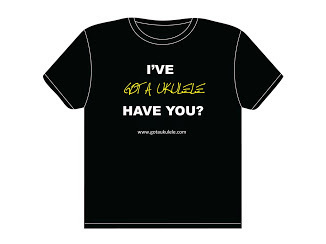 Needless to say, I've found the strings that suit both my playing styles, and my Ukuleles, and I'm sticking with them.